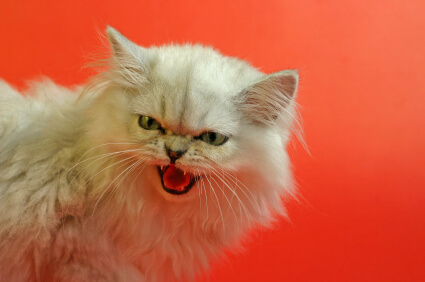 According to pet parents, one of the more common cat behavioral problems is aggression between cats in a multi-cat household. The source of the explosive behavior could be due to any of several reasons, including incompatible personalities, territorial competition or overcrowding. Cats normally establish a hierarchy among themselves, but the tricky thing is it can be fairly unpredictable and can change suddenly: cats that have gotten along for a long time may experience an abrupt falling out, leaving pet parents mystified. Think back to when you chose which dog to share your life with … did grooming requirements weigh heavily on your decision-making? Chances are, probably not. It’s important that you have some understanding of your dog’s grooming needs from the get-go. You don’t want to wait until she’s uncomfortable or you are frustrated before acting. Some pet parents postpone grooming duties until the coat builds up foul odors, or when shedding is so prevalent that dog-hair tumbleweeds are rolling across the floor. But, with the helpful information provided in this short video, that’s all about to change. With assistance from her beautiful, blond assistant, Alma, Dr. Sarah offers a concise review of the basics of home grooming. Family Gathering in the Kitchen. It is our great honor to relay news of yet another financial award granted by Dr. Jane’s HealthyPetNet Foundation. In a recent round of funding, we subsidized the vital enterprises of a non-profit organization whose mission is to salvage the lives of dogs damaged by human greed.